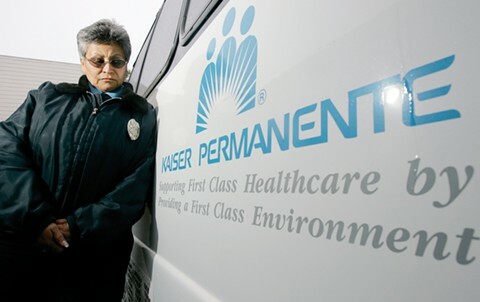 Mental Health Clinicians to Kaiser Board Member Cynthia Telles: Resign! Sal Roselli, the president of the National Union of Healthcare Workers, the union that represents over 2,500 mental health clinicians at Kaiser, explains in The Huffington Post why Kaiser Board Member Cynthia Telles has reneged on her commitments and must resign her position with Kaiser. This entry was posted in Kaiser Permanente and tagged Cynthia Telles, kaiser, mental health, NUHW, resign, Sal Roselli on December 5, 2014 by The Kaiser Patient Advocate. 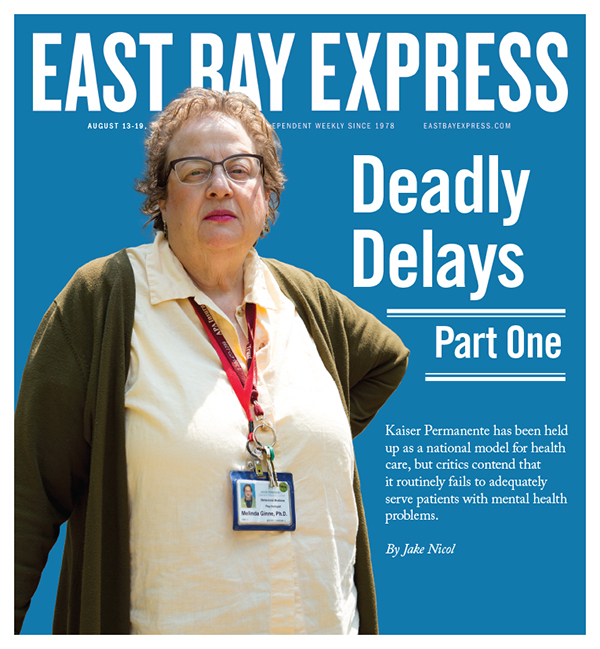 In its August 13-19, 2014 issue, East Bay Express published the first in a two-part series on the serious problems with Kaiser’s mental health services. Yet despite having no history of mental illness or drug addiction, Paroutaud suffered a psychotic breakdown at age 57. Unsure of what was happening, his wife, Susan Futterman, took him to see his regular doctor at their health provider Kaiser Permanente Medical Center in San Rafael and was referred to the emergency room. ER staffers then promptly sent Paroutaud to a private, Kaiser-contracted psychiatric facility in Vallejo — St. Helena Hospital Center for Behavioral Health. During Paroutaud’s 72-hour stay at the facility, doctors diagnosed him with having bipolar disorder, otherwise known as manic-depressive illness. Yet despite the fact that Paroutaud was still suffering from hallucinations, doctors discharged him. Futterman didn’t know what to do with him. He was no longer the confident, caring husband she knew. One day, she found him standing alone in the kitchen of their home in the city’s Point Richmond district, staring at the floor, his eyes unfocused. He was getting worse. Paroutaud’s unresponsiveness worried Futterman more than his psychotic outbursts. He had a large group of friends that he suddenly had no interest in. He had been an avid vintage car enthusiast and owned a 1967 Lamborghini that he restored himself. He had even helped create an online forum about vintage Lamborghinis. But he had become consumed by a deep depression and was no longer interested in his hobby. Futterman called Kaiser and asked to set up an appointment between Paroutaud and his psychiatrist. She said she was told that the psychiatrist was on vacation and that no one was covering his patients while he was away. Kaiser staffers recommended that Paroutaud return to group therapy and continue taking his medication. She said she was told repeatedly that Kaiser doesn’t offer one-on-one therapy. Desperate, Futterman called Kaiser every day for two weeks begging to have her husband seen by a therapist. On June 28, 2012, exactly two months after Paroutaud’s initial breakdown, Futterman came home to find her husband in their living room hanging from a rope tied around his neck. She cut him down and frantically tried to revive her husband with CPR. It was too late. Paroutaud’s suicide was a tragic end to his brief-yet-intense battle with mental illness. To read the full story, click here: A Flawed Model for Care. This entry was posted in Kaiser Permanente and tagged East Bay Express, kaiser, mental health, NUHW, suicide on August 13, 2014 by The Kaiser Patient Advocate.